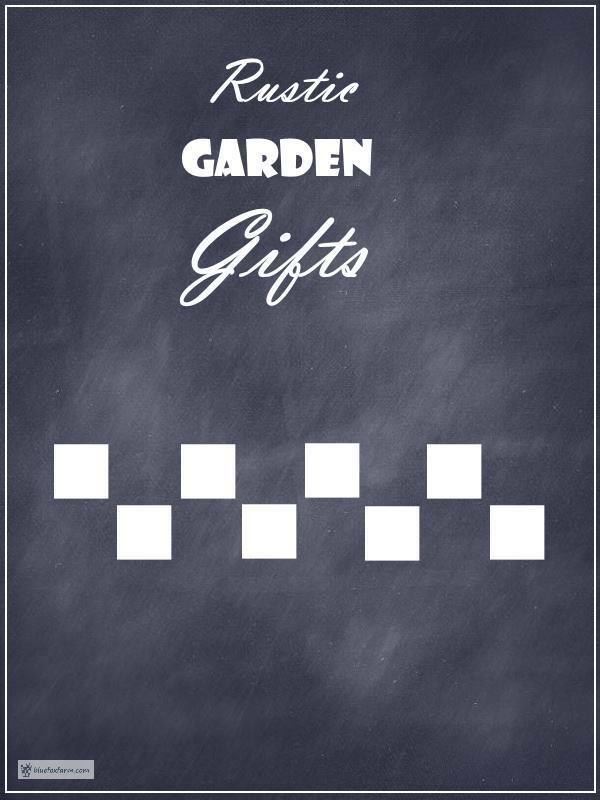 It's not easy finding exactly the right gift for a gardener; sure, you can always give them a beautiful coffee table book, or a gift certificate so they choose their own, but why not make something really special that they will treasure always? Here are a few ideas for you to start with; most are made from free or very reasonably priced salvaged stuff from garage sales or the thrift store, or natural materials that you may find in your back yard or on a hike. If you're thinking ahead, or a bit of a hoarder, you'll most likely have a few odd things that you've been dying to use in a craft. Some of these projects require a bit more work than others, so pick and choose to suit your ability and the time you have to put these together. I hope this has given you some inspiration; there is bound to be one that takes your fancy. Take it and run with it! Whether you have twigs around you, or other natural materials, there is always something that will inspire you; take it and run with it, and give your gardener friend or relative something that will give them so much pleasure. It's gonna be unique and different than anything else they'll receive, that I can guarantee.